DMK's Joint Secretary Paranthaman blamed the IT Department's raid as a politically motivated attempt. He added that the officials were not abiding by the laws. 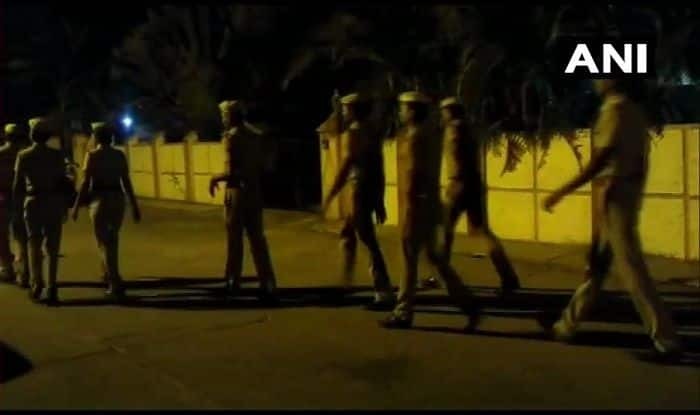 Chennai: Officials of the Income Tax department have been conducting a raid since Friday night at the residence of Dravida Munnetra Kazhagam (DMK) treasurer Durai Murugan, at Katpadi in Vellore, stated news agency ANI. Other places that are being raided include Kingston Engineering College and Durai Murugan B.Ed college in Katpadi. Paranthaman, joint secretary of DMK’s legal wing reportedly said that a three-member team from the Income Tax Department were present at the residence when DMK members came home after an election campaign. When asked about why they had come for, the IT Department officials informed that they wanted to search the house. “However, the search warrant they carried denoted cash movements (flying squad search) under the jurisdiction of Arakkonam parliamentary constituency, and it was not applicable to conducting a search at the house,” added Paranthaman. The officials went to the house to raid the place based on Article 131 of IT Act. However, the DMK advocate clarified the point in article 131 which refers to summoning a person and giving them time to raid the place. A large number of police officials were deployed at the spot for security reasons.